We in the United States are, of course, very much aware of the power of the super-rich and the transnational corporations to shape our lives. 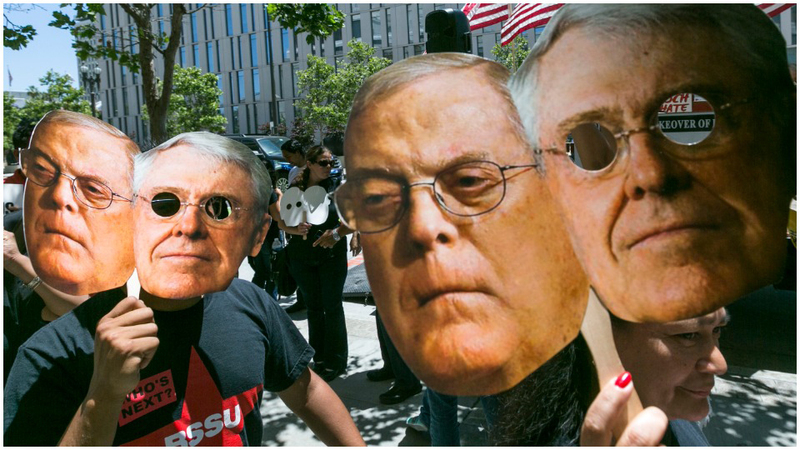 Charles and David Koch, two brothers who run Koch Industries, are particularly well known for their deployment of megabucks to influence elections and legislation in the U.S. In fact, they are in the news just this week, having pledged to provide $400 million to right-wing Republican candidates and “policy initiatives” in our country’s 2018 midterm elections. They can afford this and more, as their total fortune is estimated by Forbes at $82 billion. The Koch Fortune, and Koch Industries, reached this stratospheric level with fossil fuels, but they have since branched out to agribusiness, finance, and other activities—including far-right politics. What people in the United States might not fully realize is that these super-rich people and their corporations also do the same kind of thing in scores of other countries. 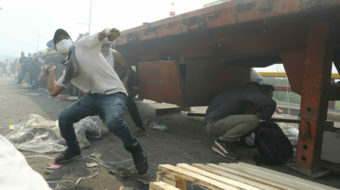 As in the U.S., their activities are given the cover of protecting the people’s “liberty” from government encroachments. The real motive is to remove all obstacles to maximum, untrammeled corporate profit-making. Given the way corporate capitalism works today, it is no surprise that the Koch brothers and their ilk function not just economically but also politically on the international level. Free trade (rigged in favor of the big transnational corporations; the “free” part is a fig leaf). Elimination of all government regulation that interferes with profit-making. This too is fraudulent; they are perfectly okay with government regulations that cramp the lives of workers and their unions, reduce the legal rights of consumers, etc. The commitment of the Koch brothers to global warming denialism is related to this, as environmental regulations particularly hit the oil and other fossil fuel sectors. Privatization of all aspects of society, with profit-making for corporations as the purpose of it all. Savage cuts in the social safety net so as to lower taxes on corporations and the rich. Willingness to use force, including U.S. intervention in foreign countries, to enforce all of this. Don’t let the “libertarian” label fool you. This is fake libertarianism. It recalls the slaveowners in the antebellum U.S. South who used to yell that by wanting to free their slaves, abolitionists were showing themselves to be enemies of “liberty”—freedom for the slaveowners but never for the slaves. 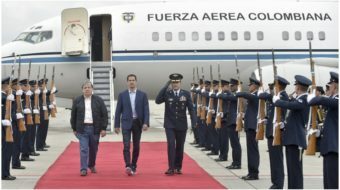 In recent years, the Koch brothers and their ilk have played a significant role in the ouster of left-wing and left-center governments in a number of Latin American countries. The fall of left-wing governments in Argentina, Brazil, Chile, Guatemala, Guyana, Haiti, Honduras, and Paraguay had other causes of course, including the limitations of a development model which relied too much on the export of commodities such as oil and the products of mining and agriculture. But the activities of state and non-state supporters of the right cannot be discounted, and that is where people like the Kochs come in. Brazil, the largest country in Latin America and the fifth largest country in the world, is a good place to start. In just a few years, Brazil moved from having one of the most progressive governments in the world to having one of the most reactionary and corrupt. How did this happen? 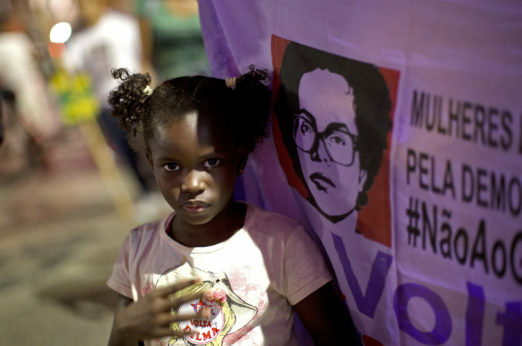 Last year, an important investigative report by Lee Fang of The Intercept, which was also the subject of an interview on Amy Goodman’s Democracy Now program, highlighted the role of U.S.-based corporations and corporate-funded foundations in the impeachment and ouster of left-center President Dilma Rousseff of the Workers’ Party (PT). Though many corporate entities were involved in funding the activities of the Brazilian “libertarian” right, the most important appears to be the Atlas Network, a collection of corporate-funded foundations, think tanks, and other organizations, until recently headed by Argentina-born Alejandro Chafuen. 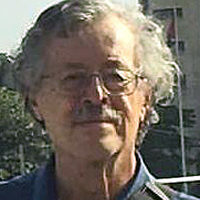 (Chafuen has since moved on to the leadership of the Acton Institute, which has similar right-wing goals and programs). The Atlas network funds many domestic and international organizations of the libertarian right, some through an entity called the Donors Trust, which serves to disguise the origin of the money. The role of Chafuen, the Atlas Network, and similar entities—funded not only by the Koch brothers but by a whole series of wealthy U.S. and transnational corporations—was to take public dissatisfaction with economic difficulties and corruption scandals in Brazil and turn it into a movement. The aims of this movement? To secure the impeachment and removal of President Rousseff and guarantee the reversal of progressive policies and programs that dated back to the election of her predecessor, Luiz Inacio Lula da Silva, in 2002. Lula’s and Dilma’s governments greatly increased the social safety net for the poor, while expanding the rights of women, minorities, and other oppressed groups. They also strengthened the position of workers and their unions, and, very importantly, broke with the neoliberal “Washington Consensus” on issues like free trade and privatization of human services. In the Lula-Dilma period, Brazil played an important role in supporting left-wing governments and movements in the Latin American region and beyond. When Dilma Rousseff’s government found itself in difficulties and faced protests over the 2016 Rio Olympics, the Atlas Network and similar organizations went to work creating a cadre of youth “leadership” from the country’s elites and middle strata to serve as ideologues and organizers who would move the protests sharply rightward. Instead of merely demonstrating against the very real problem of government corruption, or in favor of improved public services, the demonstrations’ leadership moved in a pro-corporate, “libertarian” direction. This was in part the work of Atlas-funded entities such as the Movement for a Free Brazil (MBL). The eventual impeachment and removal of Dilma Rousseff from power by undemocratic and unconstitutional means, ushered in a period in which the far-right began to dismantle aspects of the social safety net that, in fact, dated to even before Lula’s election in 2002. The latest development is that, based on an absurd kangaroo court proceeding, Lula, who is heavily favored in the polls to win this year’s presidential elections in Brazil, will very likely be barred from running. The environment in Brazil is taking a particularly hard hit as the right-wing government headed by Michel Temer has relaxed limitations on economic exploitation of the Amazon jungle and other sensitive areas. Brazil’s many indigenous communities, some of them living deep within the Amazon rainforests, are now in more serious danger than ever, as the Temer government trashes or privatizes mechanisms created to protect their interests and their very survival. Retreats on social welfare legislation include raising the retirement age and amending the constitution to sharply limit social spending. Even Brazil’s anti-slavery laws have been weakened by, among other things, nickel-and-diming enforcement mechanisms. That’s just Brazil. In fact, the Atlas Network, other right-wing libertarian entities, and the Koch brothers specifically have been involved in a number of other efforts to destabilize and eventually overthrow progressive Latin American governments, and there is no sign of a let-up. There is no love lost, for instance, between the left-wing “Bolivarian” government of Venezuela and the Koch brothers. According to U.S. journalist Greg Palast, former Venezuelan President Hugo Chavez refused to sell Venezuelan crude oil to Koch Industries because of their interference in his country’s internal affairs. In December of last year, the Koch brothers sued Venezuela to demand immediate payment of a $400 million judgement by an international settlement tribunal on compensation for property Venezuela had nationalized. Atlas’ main operation in Venezuela, called CEDICE-Libertad (Center for the Dissemination of Economic Knowledge-Liberty), heavily backs the activities of the right-wing opposition in that country, including such high profile figures as María Corina Machado and Leopoldo Lopez, who have backed often violent “guarimba” protests against the current government of President Nicolás Maduro. The Atlas Network itself claims big gains in promoting neoliberal, “free market” reforms in many other countries. Furthermore, Atlas-linked think tanks are taking a hand in neoliberal policies in Argentina, Honduras, Chile, and elsewhere. Of course, the Koch brothers are not the only private actors in this scenario. Just about every major transnational monopoly has its fingerprints on this sort of thing. Other major U.S.-based entities with similar orientations and goals are Exxon-Mobil, the John Templeton Foundation, and the Bradley Foundation. One thing that surprised Lee Fang when he did the research for his Intercept article was the degree to which the international activities of these right-wing, often extremist think tanks, foundations, and other organizations are enmeshed with the taxpayer-funded activities of U.S. government agencies, with the private foundations sometimes being the conduit for National Endowment for Democracy (NED) money, and vice versa. In Latin America, the hand of the Central Intelligence Agency is always suspected in such situations, but in these cases, agencies of “soft power,” including especially the NED. That the NED interferes in other countries’ internal affairs, under the cover of training various right-wing groups to oppose left-wing governments, comes as surprise to few people in Latin America.